Skagit’s Best Salsa is made locally in Conway Washington. Small batches and fresh ingrediants unite to excite your taste buds. This salsa is hand made in small batches. Enjoy with chips, eggs, seafood, chicken or your favorite fermented beverage and a few good friends. Additionally, it is important to note this salsa is made in a certified kitchen with fresh produce bought locally. Everything is hand chopped and prepared by the owners with the help of family members. Though Skagit’s Best Salsa is a small local company, they have not lost their family connection with our valued customers. 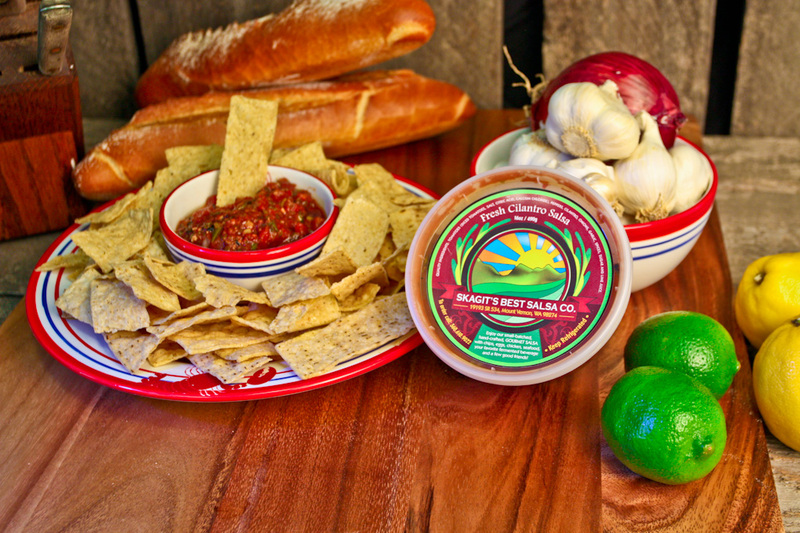 Skagit’s Own Fish Market is proud to offer this salsa with our grilled tacos, as well as for sale.